Your day starts with a woman complaining of double vision since being in a car accident. She is very distressed and is unsteady all the time. It’s up to you to work out which of the eye muscles or nerves have been damaged and how you can get rid of the double vision. You successfully identify the eye muscle that has been trapped by a fracture in the eye socket. The double vision can be fixed with a stick-on prism on the patient’s glasses. Your next patient is a six-year old boy with a left squint/lazy eye which turns in towards the nose. You check to see if the squint his affecting his vision, measure the size of the squint and make sure the muscles around the eyes are working normally. With your test results, the child can now go on to have surgery to straighten their eyes. Your care and expertise means both patients have a better quality of life and you feel privileged to have helped in restoring their vision and confidence. You enjoy working with a mixture of children and adults. You like working on your own and as a team. You are interested in the eye and the brain and how they work together to allow our eyes to move and respond to the world around us. You’ll need a minimum of 5 GCSE subjects at 9-4 (A*-C) grades, including English, maths and science and then go onto 6th form or college to do three A-levels, one of which must be biology, chemistry, physics, or maths. 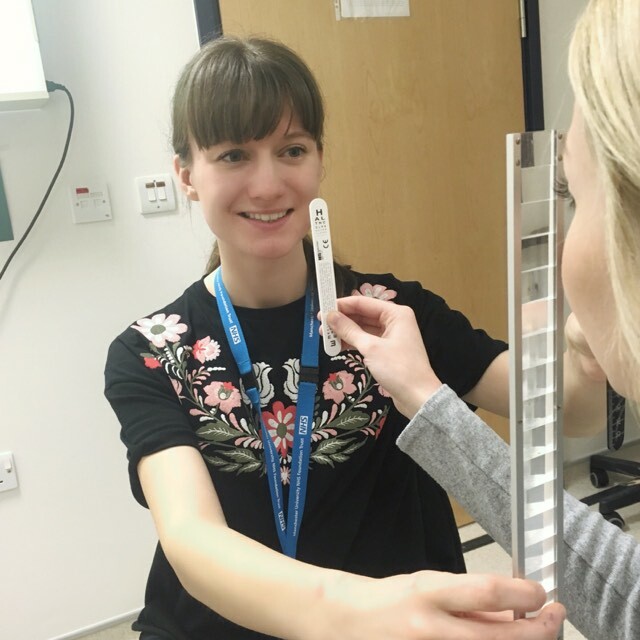 You will need to take an approved undergraduate Orthoptics degree course currently taught at Liverpool, Sheffield or Glasgow Caledonian Universities. You will usually need a minimum of BBB at A-level, however each university has its own requirements and it is therefore essential to check entry requirements carefully.